Wireless earbuds make listening to tunes, audiobooks, and podcasts on the go a breeze, and cut out the hassle of constantly having to detangle a cord when you take them out of your pocket or purse. Finding the best wireless earbuds for your needs means reading reviews, studying product features, and diving into the ins and outs of available styles and sound performance. With the right wireless earbuds, staying connected while on the go can become a more pleasurable experience. We reviewed dozens of wireless earbuds to identify the best of the best, based on Amazon reviews, how well they performed in sound tests, cost, and other considerations. We narrowed our search down to 5 of the top-rated wireless earbuds people can purchase to ensure a quality wire-free sound experience. We’ve identified Jabra Elite Active 65t Wireless Sports Earbuds as the best wireless earbuds out there. With a truly wireless design and great sound output, these wireless earbuds are ones that will keep you connected to what matters most. These benefits allow you to stay connected and up to date no matter where your day takes you. 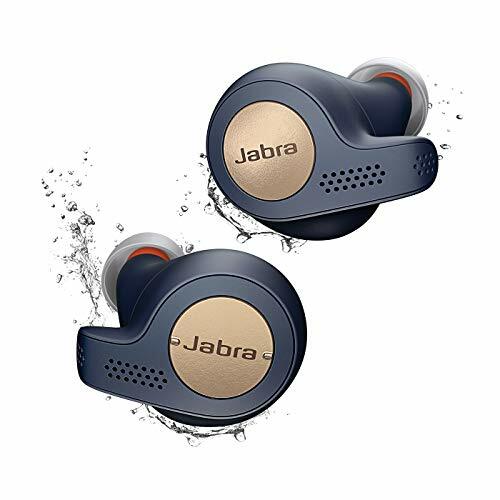 The Jabra Elite Active 65t Wireless Sports Earbuds took the top spot on our list of the best wireless earbuds thanks to their truly wireless design, excellent sound quality, and comfortable design. They are also compatible with Amazon Alexa, and come complete with multiple sized ear gels to find a customized fit for nearly any ear shape. The integrated motion sensor helps you to keep track of your workouts for added value and convenience. Those who purchased and reviewed these wireless earbuds appreciated how quickly these earbuds charged, and how clear the quality was for phone calls. Some people found that the bass was a bit lacking in these earbuds, but the overall quality and comfort more than made up for it. At a cost of around $190, they certainly aren’t cheap, but the quality craftsmanship associated with the brand, as well as the ease of setup and use more than justifies that price. They have a rating of 3.6 on Amazon with more than 700 people reviewing them, which we think goes a long way in convincing people to make the investment. The Bang & Olufsen Beoplay E6 in-Ear Wireless Earphones wireless earbuds took the runner-up spot on our list of the best wireless earbuds, as they are quite expensive and aren’t truly wireless. That said, they still offer excellent sound quality with a stronger bass than our top pick. These lightweight earbuds boast a durable, splash- and dust-resistant design that can easily be cleaned for added convenience. Those who purchased and reviewed these wireless earbuds appreciated the superior sound quality these headphones provided, especially the strong bass — which can be hard to achieve in earbuds this small. People found the companion app to be easy to use, but found the task of getting the right bud fit a bit tedious. With a price tag of about $300, they don’t come cheap, but the quality craftsmanship associated with the brand, as well as the ease of setup and use more than justifies that price. They have a rating of 3.6 on Amazon with more than 25 people reviewing them, which we think goes a long way in convincing people to make the investment. 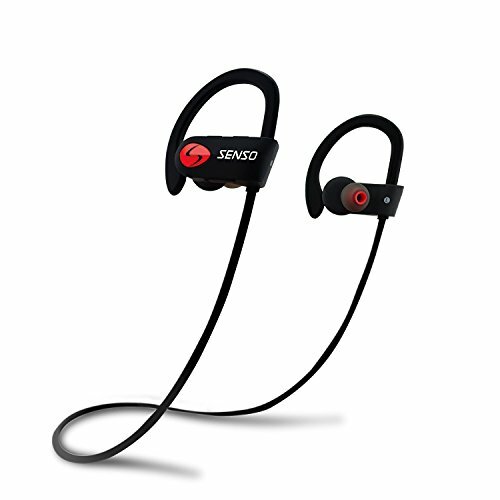 The SENSO Bluetooth Headphones are an excellent choice for those looking for a pair of wireless earbuds that won’t break the bank. While they don’t offer a truly wireless experience, it’s worth the trade-off for such an affordable option that still provides high fidelity sound. They have an IPX7 waterproof rating, and include ergonomically-designed flexible ear hooks with gel flex silicone earbuds to keep them comfortably in place. Those who purchased and reviewed these wireless earbuds appreciated the deep bass these earbuds provided, especially considering the price. People found them comfortable and easy to pair, although the design to charge the unit was a bit cumbersome. With a price of around $30, these wireless earbuds are a solid choice for those looking for a wireless earbud option on a budget. They have a rating of 4.0 on Amazon with more than 28,500 people reviewing them, which we think goes a long way in convincing music-lovers that this budget-friendly pick is just as good at playing tunes as more expensive options. 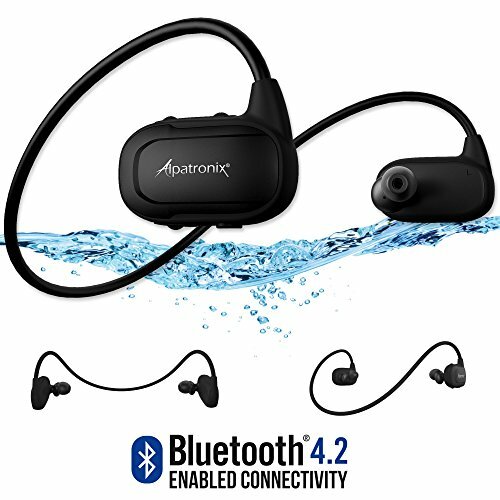 The Alpatronix HX250 Waterproof Bluetooth Headset is a good choice for those who want wireless earbuds that are also waterproof. They come complete with 8GB of onboard memory, in case you still want to listen to tunes without pairing to a device or while underwater. They boast a lightweight and compact design, and provide up to 8 hours of playback on a single charge. Those who purchased and reviewed these wireless earbuds appreciated how affordable they were, especially considering that they are waterproof. Some people found that the battery life of these earbuds wasn’t as great as advertised. Overall, purchasers said these earbuds stayed in place, were comfortable to wear, and that the sound quality was good. With a price tag of around $60, they are surprisingly affordable as far as wireless earbuds go, and the convenience of being able to use these in the water, as well as the ease of setup and use more than justifies that price. They have a rating of 3.4 on Amazon with nearly 800 people reviewing them, which we think goes a long way in convincing people to make the investment. 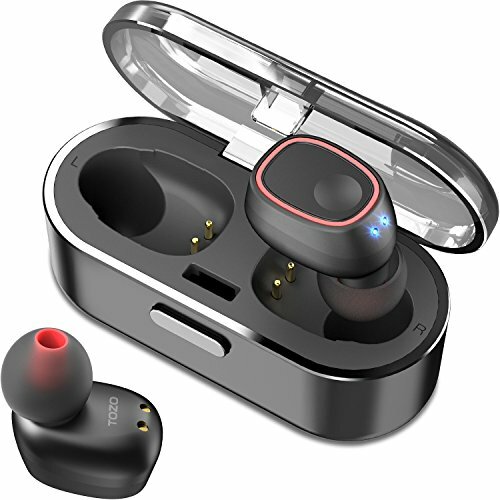 The TOZO T8 True Wireless Stereo Headphones are an excellent option for those who want a truly wireless earbud, and come complete with three sets of silicone earbud caps and a charging case. They boast an ergonomic design and use Bluetooth connectivity to pair with any compatible device. The rechargeable case provides 2-3 full charges of the buds, without the need to plug in to a power source. 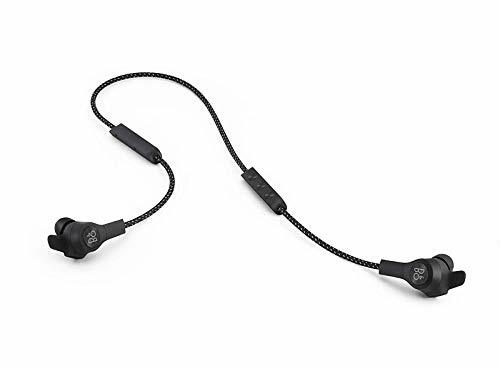 Those who purchased and reviewed these wireless earbuds appreciated that these earbuds stayed in place during various activities, and were light and comfortable to wear. People liked that they include a 1-year warranty, and found them easy to pair with various devices. Some commenters mentioned that they wished these earbuds had a longer battery life, but felt the trade-off in affordability was worth the sacrifice. At a cost of about $33, these earbuds are incredibly affordable — especially considering that they offer a true wireless experience. The quality craftsmanship of these earbuds, combined with the ease of setup and use more than justifies that price. They have a rating of 4.3 on Amazon with more than 200 people reviewing them, which we think goes a long way in convincing people to make the investment. Wireless earbuds are an ideal choice for those who want to listen to tunes while engaging in active pursuits, or without the hassle of wires connecting them to their device. Unlike traditional earbuds which plug in directly to your device, wireless earbuds use Bluetooth connectivity in order to connect to the playback source. More often than not, wireless earbuds will feature a sweatproof or waterproof design, making them ideal for those who engage in active pursuits. If you’re someone who participates in vigorous activities such as running or swimming, wireless earbuds are a great choice as their design often features “stay-put” features such as memory foam ear tips, and extremely lightweight construction to help prevent them from popping out. Style. The first thing to consider when selecting a pair of wireless earbuds is the style you want. There are those that are truly wireless and just feature the buds, and then there are those which are connected via a cable to each other — although they still use Bluetooth to connect to your device. Sweatproof. Depending on whether or not you’ll be engaging in active pursuits while wearing your wireless earbuds, having a pair that is sweatproof will be very important. There are also waterproof options that can be used for aquatic workouts. Noise isolating. For those wanting to tune out ambient noises, having earbuds that get rid of annoying background noises is key. Look for those with noise-cancelling features. However, in situations where awareness of your surroundings is necessary, it might be safer to sport a pair of earbuds without noise isolating capability. Battery life. An important consideration when it comes to choosing wireless earbuds is how long the battery life of the item is. You don’t want to be charging your earbuds after each use, so those with about 4 hours of battery life or more are ideal. Likewise, charge time is an important consideration, as is the ability to do a “fast charge” for a quick hit of power when you need it. Accessories. Consider the accessories your wireless earbuds come with. Earbud tips in multiple sizes, charging cables, and storage cases can all make the experience much more enjoyable. Price point. Finally, consider how much you are willing to spend on a pair of wireless earbuds. Wireless earbuds vary in price from $30-$300 or more. You can frequently find discounts around holidays like Black Friday that can make buying wireless earbuds more affordable. What are wireless earbuds and how do they work? Wireless earbuds are used for listening to devices like cell phones, tablets, and others, without disturbing others with the sound. They typically work using Bluetooth technology. In truly wireless systems, where there is no connector cord or cable between the two buds, one earbud is the primary and the other is the secondary. The primary earbud connects to your wireless device using Bluetooth in order to stream signals to your ears. What is the difference between wireless and Bluetooth earbuds? The difference between wireless and Bluetooth earbuds boils down to their range. While both types of earbuds don’t require a wired connection to your device in order to transfer information, wireless earbuds can receive signals from up to a distance of about 100 feet, whereas Bluetooth headphones are designed for devices within a range of up to 30 feet. How do you pair wireless earbuds? You pair wireless earbuds via the Bluetooth setting on your device. In most instances, you turn the wireless earbuds on, then go to the settings on your device and select Bluetooth. Select the wireless headphones in order to begin pairing. The manufacturer of your wireless earbuds will have instructions on how to pair your new earbuds, as well as troubleshooting information should you encounter any issues. Do I need Wi-Fi to use wireless earbuds? Your do not need Wi-Fi to use wireless earbuds, as they use Bluetooth connectivity in order to connect to your phone, tablet, or other playback device. As long as you have Bluetooth connectivity, you can use wireless earbuds. Keep in mind that water impairs Bluetooth signal, so if you plan on using your wireless earbuds in the pool, you’ll want a pair with onboard memory to store tunes and podcasts. We looked at 20 other wireless earbuds. Even though they didn’t make our 5 best wireless earbuds list, they’re the best of the rest and each is still a great option for listening to your tunes, podcasts, or for taking calls while on the go. The information you’ll need to compare each one is included with the listing. These earbuds feature an IPX7 rating, making them sweatproof and waterproof. They include an over-the-ear hook to help keep them in place during vigorous activities. These wireless earbuds boast an IPX7 rating to be waterproof and sweatproof, and come complete with ergonomic flexible ear hooks with silicone earbuds for a comfortable and secure fit. These wireless earbuds are connected by a wire, and boast an ergonomic design. They are compatible with a variety of devices including Apple, Android, and Microsoft. These wireless earbuds boast an IPX7 waterproof rating, making them ideal for active pursuits. They use Bluetooth 4.1 connectivity to provide a quality sound experience. These earbuds offer a true wireless experience, and provide clear, Hi-Fi stereo sound in an affordable package. These true wireless earbuds boast clear sound with rich bass, along with an IPX5 water-resistant rating which makes them ideal for use while working out. These true wireless earbuds boast an incredibly lightweight design at just 3.5 grams, and feature a snug and secure fit that won’t cause ear pain or swelling. These true wireless earbuds offer HD stereo audio with a strong connection up to a distance of 33 feet, and boast one-step pairing for added convenience with setup. These true wireless earbuds boast digital noise cancelling technology which lets you listen without any distractions, and are compatible with both Android and iOS devices. These wireless earbuds boast a multi-function design for use as earbuds, a standalone music player, an in-ear fitness tracker and as headset. It also offers hands-free access to Amazon Alexa, Siri and Google Assistant. These true wireless earbuds are compatible with iOS and Android devices, and boast digital noise cancelling technology for crisper audio. These true wireless earbuds boast Bluetooth 5.0 technology to provide a superior connection and improved sound quality. They include five sets of silicone caps to help provide a comfortable fit. These true wireless earbuds boast Bluetooth 5.0 technology to provide a superior connection and improved sound quality, and work with devices up to 33 feet away. These true wireless earbuds boast speed, distance, calorie tracking and real-time voice guidance, and come complete with multiple sizes of ear-tips and wing-tips to get just the right fit. These true wireless earbuds boast an ultra compact design, and feature industry-leading 998 custom-made carbon nanotube diaphragms along with cvc 8th generation noise isolation to provide crystal-clear audio. These Bluetooth wireless earbuds boast high-fidelity stereo sound, and include five pairs of earbud tips to help provide just the right fit. They are sweatproof and come complete with an in-line microphone and volume control buttons. These Bluetooth wireless earbuds boast a flexible and lightweight design that makes them comfortable for extended wear, and use noise cancelling technology to provide crisp, clear sound. Available in an optional package with a storage case or car charger, these Bluetooth wireless earbuds provide a high-quality audio experience and are super easy to pair. These Bluetooth wireless earbuds boast crisp sound with a comfortable fit, and come complete with a carrying case, three pairs of earbud tips, six wing attachments, two cable management clips, and two collar clips. These Bluetooth wireless earbuds boast dual-EQ modes and aptX high-fidelity audio for superior sound quality, and come complete with multiple earbud tips and wings so you can get just the right fit.